Well tonight we here at Tarpeins Dojo Moline and Bettendorf will have Eddie Bravo (Brazilian Jiu Jitsu guru) in the dojo and speak of all things BJJ and Conspiracies! I will look forward to learning from him and hearing what he has to say. This has been a great year for Brazilian Jiu Jitsu and the Tarpeins Dojo Bettendorf and Moline academies. This year alone we have had the pleasure of training with some greatest pioneers in the Brazilian Jiu Jitsu and MMA community. No other accredited academy here in there QCA or surrounding area can say they have done what we have as a strong legitimate academy. We have had Jeff Neal with Carlson Gracie Team here for belt grading and seminars as well as promoting me to 1st degree Black Belt in Brazilian Jiu Jitsu under the Carlson Gracie Team banner. Carlson Gracie Jr. The head chief of Carlson Gracie Team, Has also been in the Tarpeins Dojo to help in taking us to the next level. Few quick words about Jr. If you have not trained or taken his class or seminars YOU ARE MISSING OUT! Jr. Has a way of teaching so anyone can understand the technique that he is teaching and he makes you feel like you are the only person in the room. In April we had Miguel Torres, this is always a great time because he knows how to make the seminars fun and like most BJJ’ers puts a great flow of techniques together. And after the seminar Miguel is always read to thrown down some great Mexican food from Los Montes. Now for this next seminar, Eddie Bravo, sept 13th. This is going to be epic for a few reasons. One, I know for a fact I will be going to school on this seminar. I understand a lot of the his system but I don’t use it as a big part of my Brazilian Jiu Jitsu game. 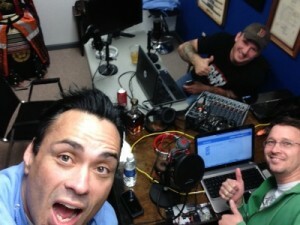 Two Josh and I will be doing an interview with Eddie for our podcast – Information Disclose Project or IDP for short. We will dive into BJJ talk- Metamoris – Eddie Bravo Invitational – moon landing real or fake- Anunnaki and Planet X – Sasquatch and dermal ridges – JFK – Area 51 and the Alien who liked strawberry ice cream. Roswell – Project Pegasus / Project Paperclip – DARPA the John Titor story. Secret Societies- Reptilian Elite. William Cooper – MJ-12 Illuminati and how far the reach. Eddie better pack a lunch – this is going above top secret and G-14 classified. This podcast will be every BJJ and Conspiracy lovers dream. I know it’s only September, but I have big plans for 2015 and I continue to bring great BJJ and martial arts to the QCA next year and surround myself with great people and students. We have some plains for the next year and some people know what I am talking about as far as spreading my brand and taking over some projects. So if all goes well next year will be more academies , Sasquatch Open BJJ event, seminars, and top notch martial artist. Thanks for reading and now get on the mats and train! 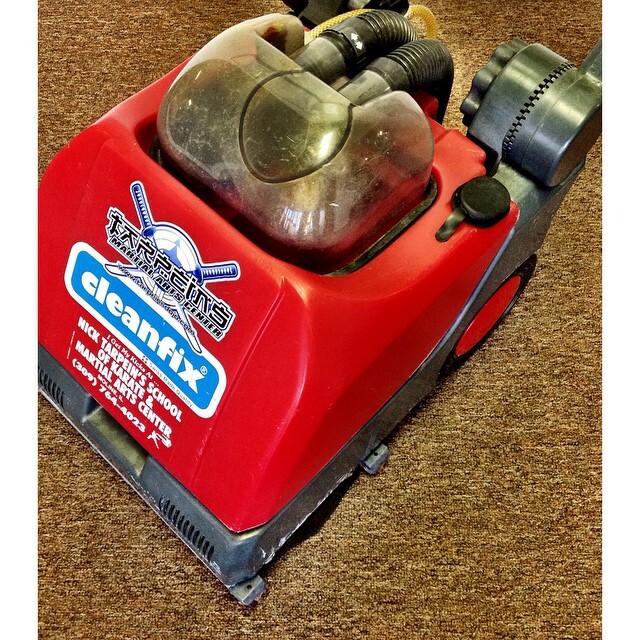 Let’s talk about clean mats and flooring! Over the year of my training I have trained on many styles of flooring. Everything from old school wood floors to spring loaded platform mats. They all have their place in the world of martial arts. Being part of one of the best styles of martial arts Brazilian Jiu Jitsu, flooring and mats are a BJJ’ers best friend. I myself have two brands at each of my academies. Swain Mats in my Moline Illinois academy and Zebra Mats at my Bettendorf Iowa academy. Let me just say I enjoy the feeling of each but they both feel different. Swain mats are softer feeling and have more give, but are also older. 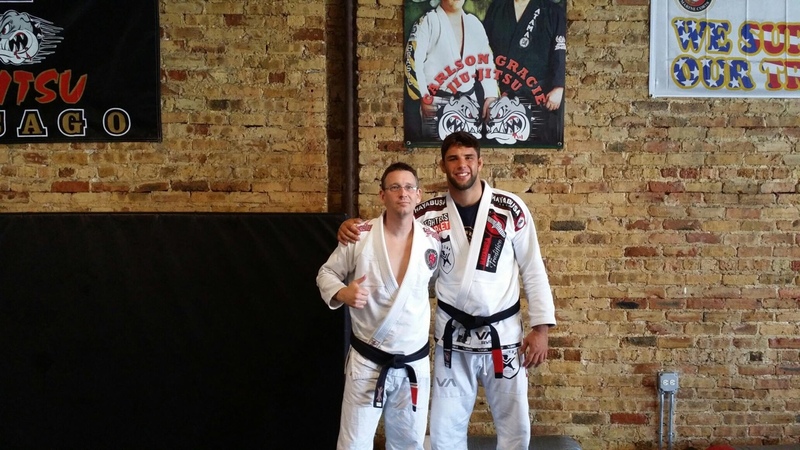 My Zebra mats are firmer and have a faster feeling on the body with training in Brazilian Jiu Jitsu. Both are great in my opinion, and over the years both company’s have made smooth version and economical priced mats. Now for the important part. Cleaning the mats! I myself have been to many academies and noticed the mats and training area are not the best kept as far as cleanliness. In fact some have been so bad I was a little worried I catch and nice fungus during my training. I am amazed at how many schools/academies say they are professional and yet the whole place looks like a college party house. I understand I may have walked in on an off day from cleaning, but let’s not fool anyone. When a place is dirty you can tell if it’s been this way for a while. So when I visit a place that is unkept it makes me realize how I need to be on top of my game at academies. October 11th myself and a good friend took a road trip the Carlson Gracie Head Quarter in Chicago to train with 6 time World Champion Marcus Buchecha Almeida. 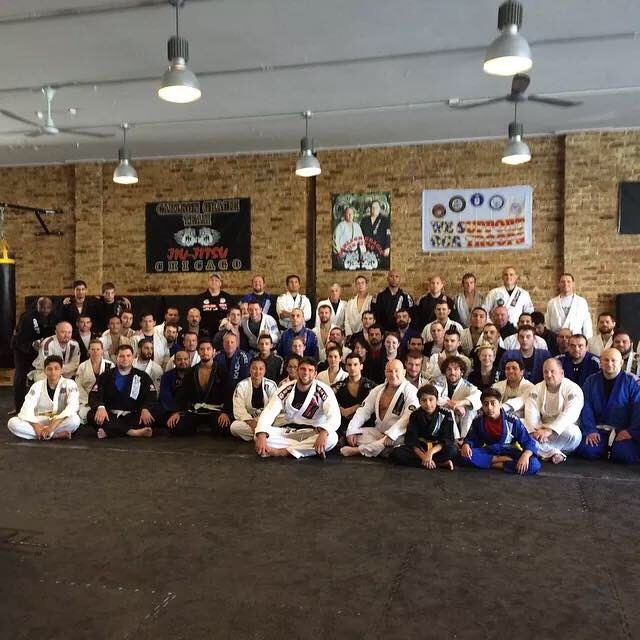 It was a full house at the Carlson Gracie HQ academy, and the feeling you get when you are sharing the mats with some of the coolest people in Chicago land area in the worlds of Brazilian Jiu Jitsu is hard to put into words. A person would have to really just experience it and also be involved in the art of BJJ. Now on to the seminar, in short it was great! It was 3 hours of linking one step to another and putting it all together by the end of the session. Marcus made the steps easy to follow and whitty and very funny. I also watched the way he interacted with the students and I could tell he enjoys teaching and cared that students walked away with the lesson plan that he taught. Almeida, after the seminar took a short Q&A and was asked about his version and set up of the “helicopter sweep” so he took the time to show details on that sweep and explained how he pulled it off in his matches. He had us drill it and making sure we understood some details that makes the sweep a higher percent success rate. After the seminar students and fans alike were able to take pictures with the world champ, and he seemed very happy to take pictures and like to interact with everyone there. I personally feel very honored to be in the black belt line up with all of the Carlson Gracie Team of Black Belts. 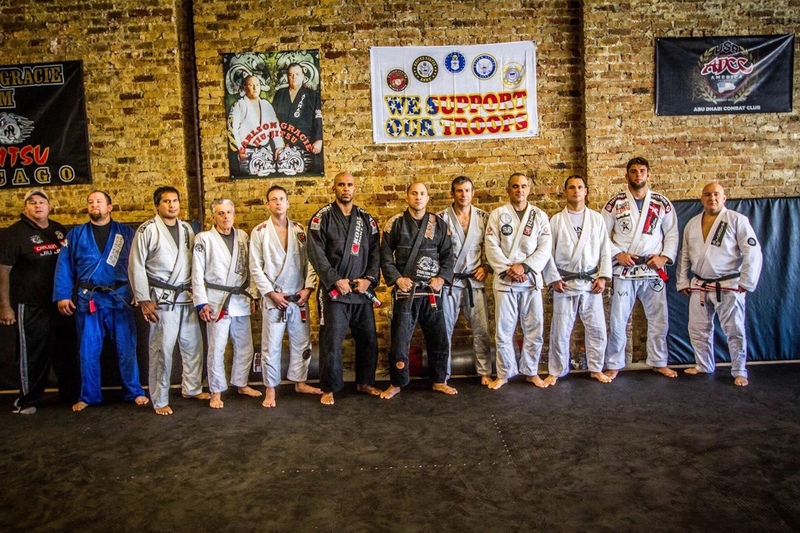 It’s was almost surreal for me and when I seen the great photo of all the Black Belts, the first thing I thought to myself was what a great and cool picture. I can’t wait till the next seminar, see you on the mats!